With more than 275,000 copies sold, this is the story of the Church for today's readers. This third edition improves the most engaging and readable single-volume history of the Church by bringing the story into the twenty-first century. Faced with some astonishing changes in the Islamic world, a global resurgence of Roman Catholicism, the decline of Christianity in the West coupled with the rapid growth of evangelical and Pentecostal Christianity in the southern and eastern hemispheres, readers need a current explanation with intellectual substance that will provide historical context and update readers on all these new developments. 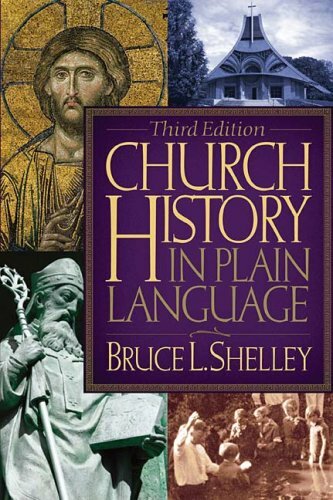 The new edition of Church History in Plain Language does that in a stimulating manner, and it promises to be the new standard for readable Church History.